In a seperate bowl, zest your lemons and juice them. Add the condensed milk and mix together. Bake at 350 for 30-35 minutes, or until the edges start to brown. Let cool and then cut into small squares. Those sounds so good, i know what i will be buying when pay day comes around! the ingredients to these! 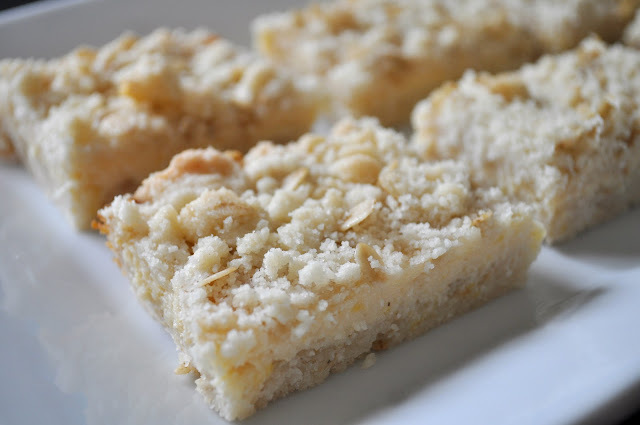 I love lemon bars and I love coconut so this sounds like the perfect recipe to me! Yum! I bookmarked this one and the strawberry glazed tart. Cant wait to try!